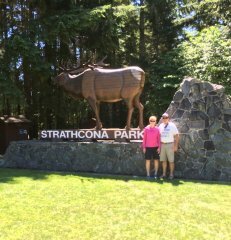 Before heading out on the water, we take a three day road trip in the RV to visit Strathcona Provincial Park. 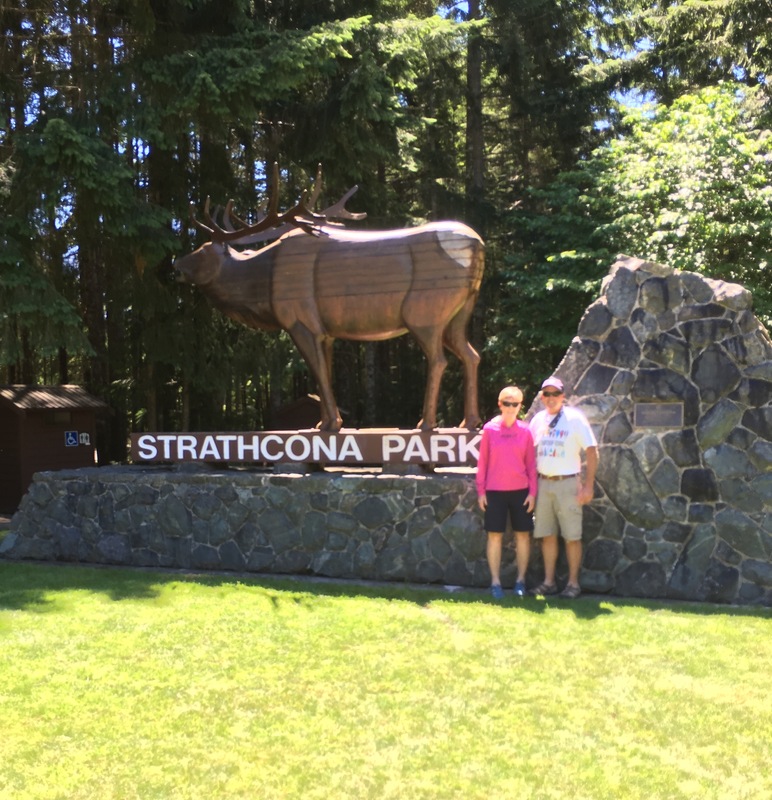 Designated in 1911, Strathcona was the first provincial park in British Columbia. 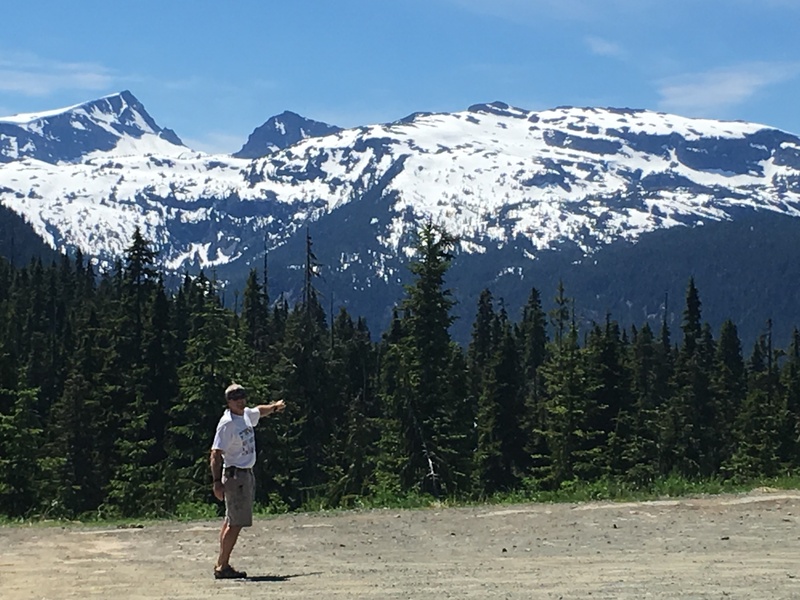 The highest point on Vancouver Island is known as the Golden Hinde (2200 m) and is located at the center of the park. Maybe someday we will come back and climb this peak but today our destination is Buttle Lake. 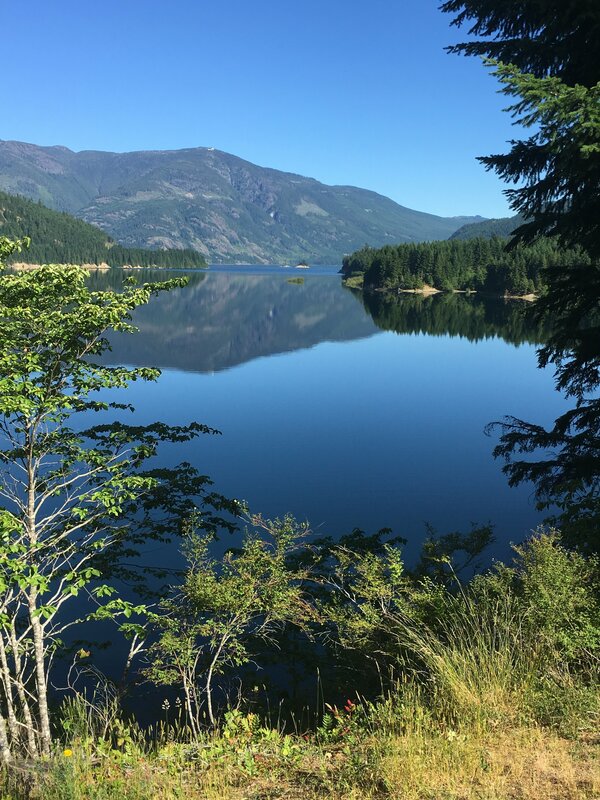 It is an amazingly scenic drive around the mountains and many lakes to our campground. We have a primitive campsite (no power or water) within a few strides of the Lake. 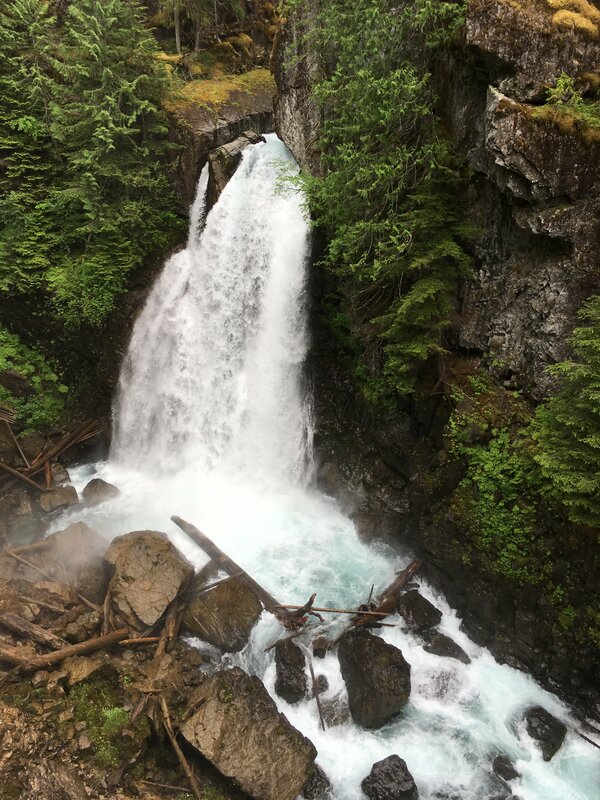 After a short hike to Lady Falls (note to self: good trout fishing according to a fisherman we met in the parking lot), we hop in the RV and head to Gold River which is located 15 miles west on Nootka Sound on the west coast of Vancouver Island. We were not sure what we would find there but the name sounded intriguing. The little town seems to be struggling and is almost a ghost town. Years ago the pulp mill closed causing massive layoffs. The local grocery store has just shut down, another potentially fatal blow to the small town. Gold River is trying to revive itself through tourism, mainly fishing and sightseeing. 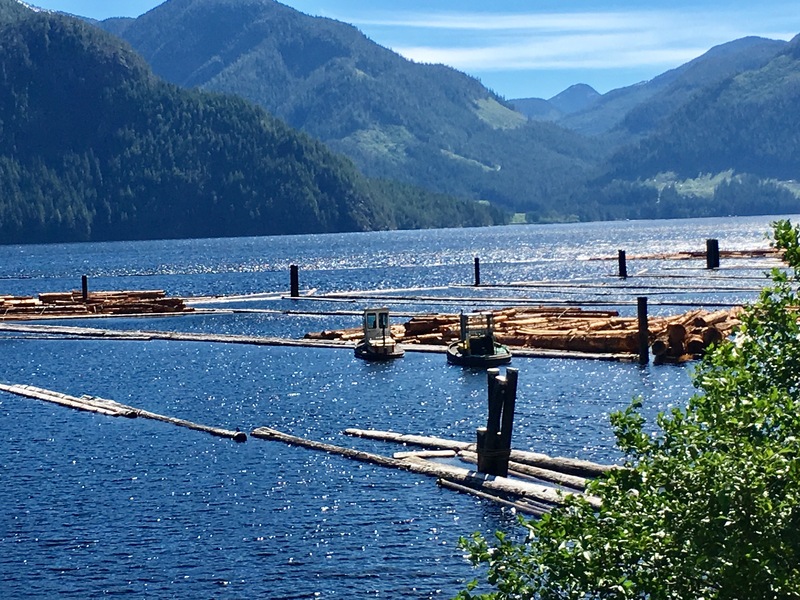 A few miles outside of town, we find the village wharf perched on Nootka Sound. Supposedly Captain Cook first landed in the nearby Friendly Cove in 1778 where he traded trinkets for otter pelts with the Mowachaht-Muchalat First Nation people’s. This began a gold rush for Europeans with otter pelts fetching up to $4000 in London. Tourists can now take a day cruise to visit this historic site. 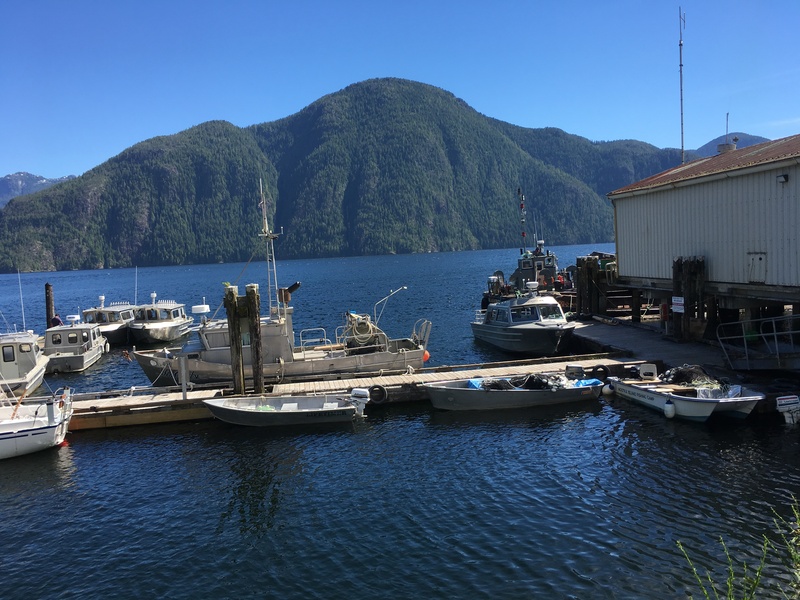 The area is also prime salmon and halibut fishing. We see quite a few small privately owned charter boats waiting to take hopeful customers out to try their luck. 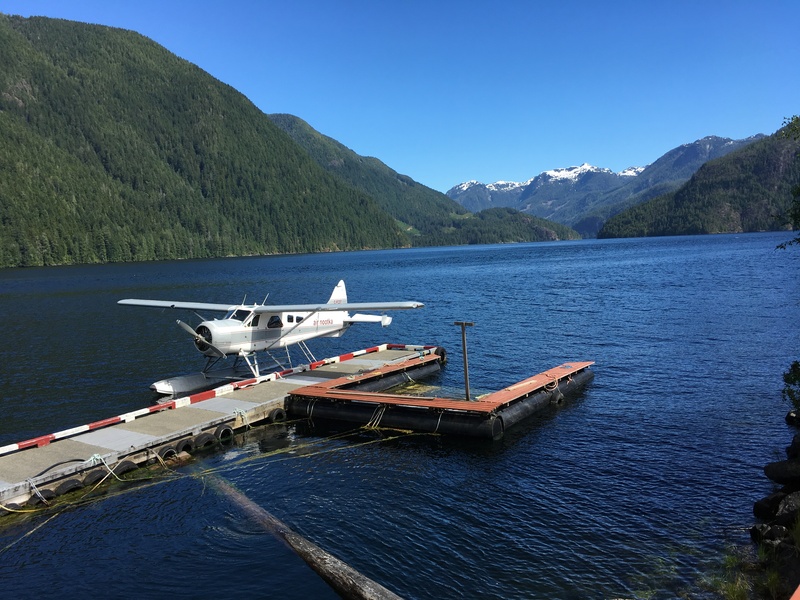 Nootka Air, a one plane charter operation, is also based here. In addition to providing mail service to remote locations, they also operate sightseeing trips. The rest of the harbor is occupied with a log sorting and rafting operation. We were told that a large black bear had just wandered through the parking lot but we never saw him. The next day found us motoring up a steep grade in the RV to the alpine resort of of Mt. Washington. We spent the afternoon hiking some of the well maintained nature trails. 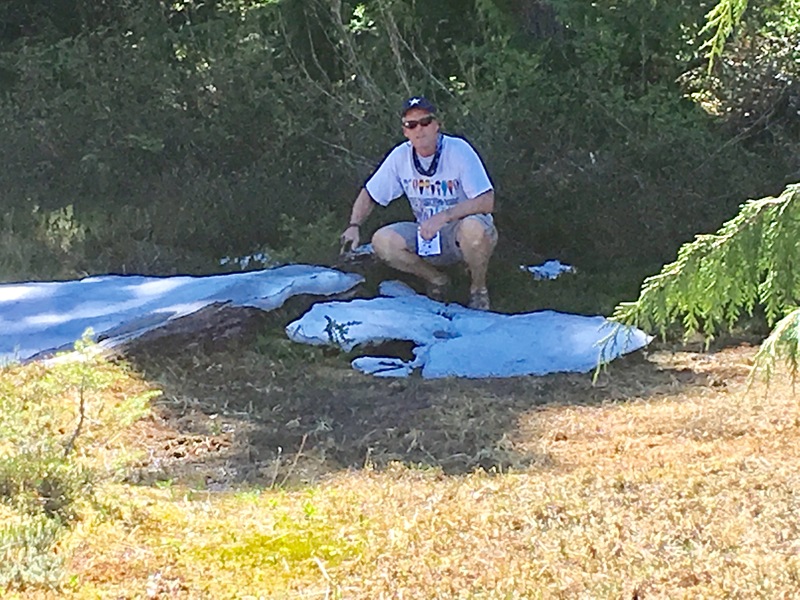 Being at 3500 feet, we even found some snow still remaining in some of the shady spots. The evening was spent at a provincial park in the small seaside town of Comox. From Comox, we turned the RV southwest to our next destination of Lake Cowichan Provencal Park. Here we found another wonderfully secluded campsite along the Banks of the Lake Cowichan River. 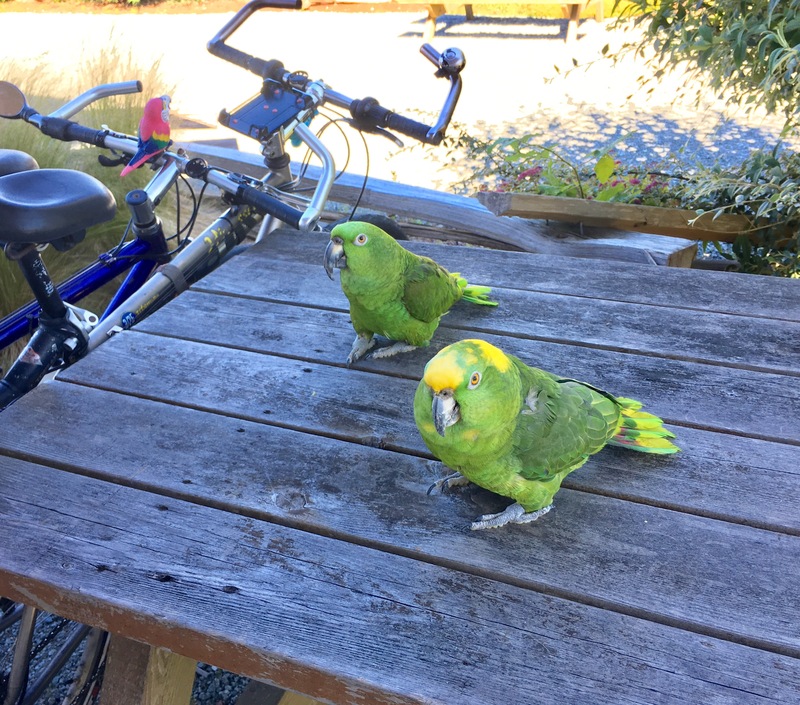 Nate and Primo enjoy these primitively parks with play time out on the picnic tables. 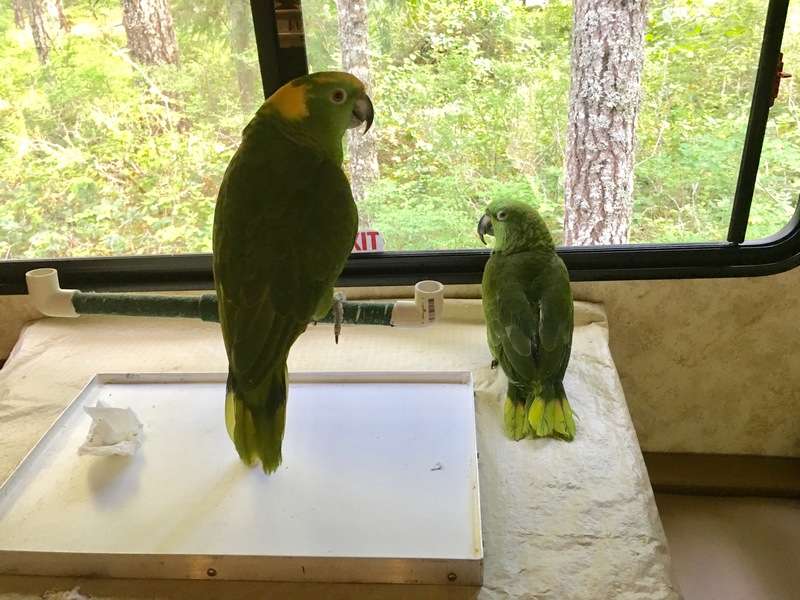 Nate also seems fascinated with his new surroundings and spends his evening gazing out the RV window into the wooded forrest. 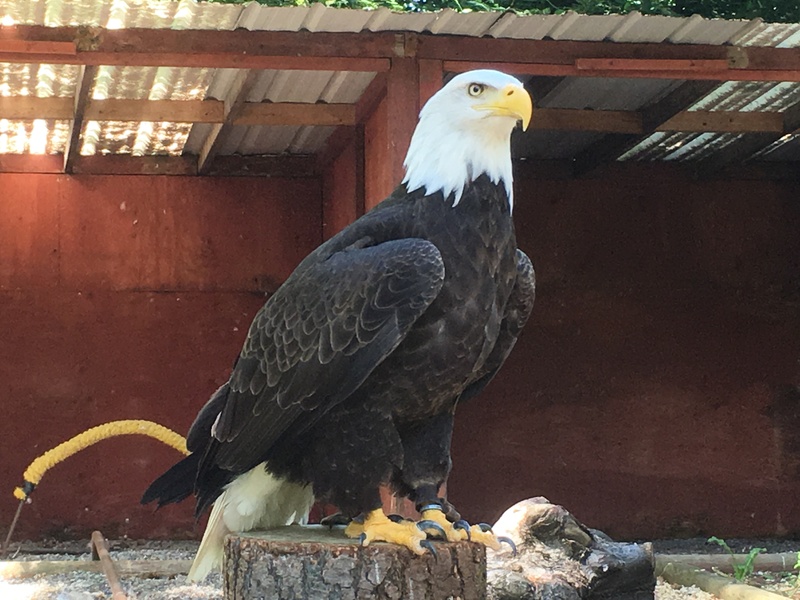 On our return to Sidney, we couldn’t help but stop at the Pacific Northwest Raptor Center. 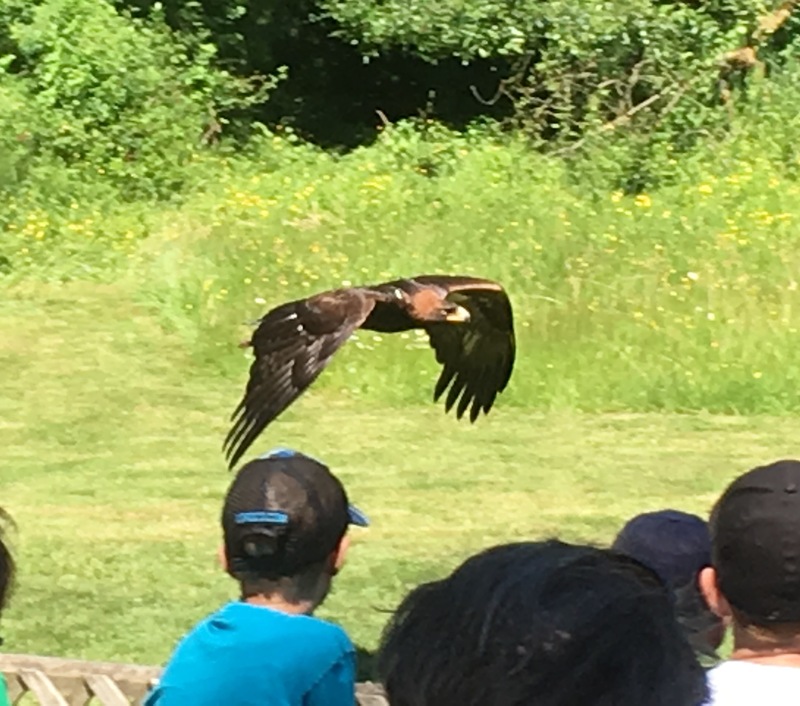 We arrive just in time for one of their daily flight demonstrations featuring eagles, hawks, owls, and turkey vultures. After witnessing the flights of these avian wonders, we wander through the well maintained facility. 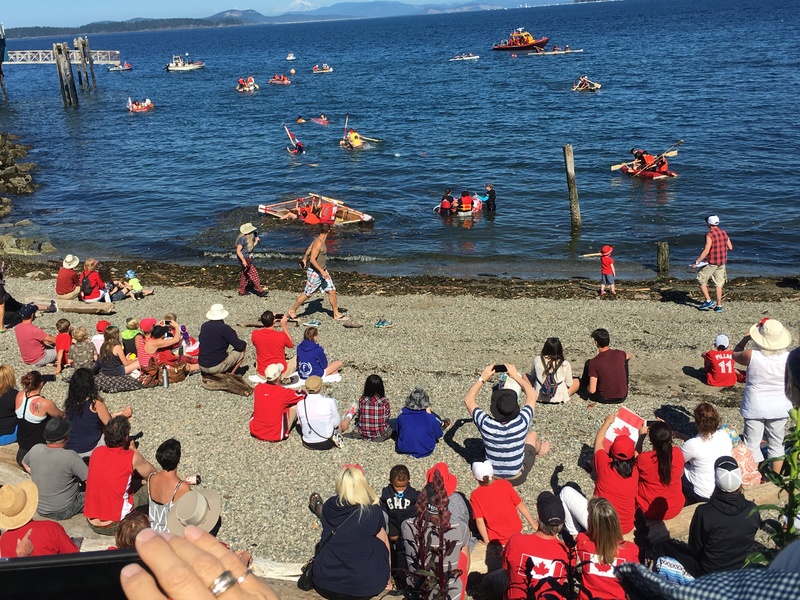 We arrive back in Sidney just in time to enjoy the festivities of Canada Day and the celebration of Canada’s 150 th birthday. 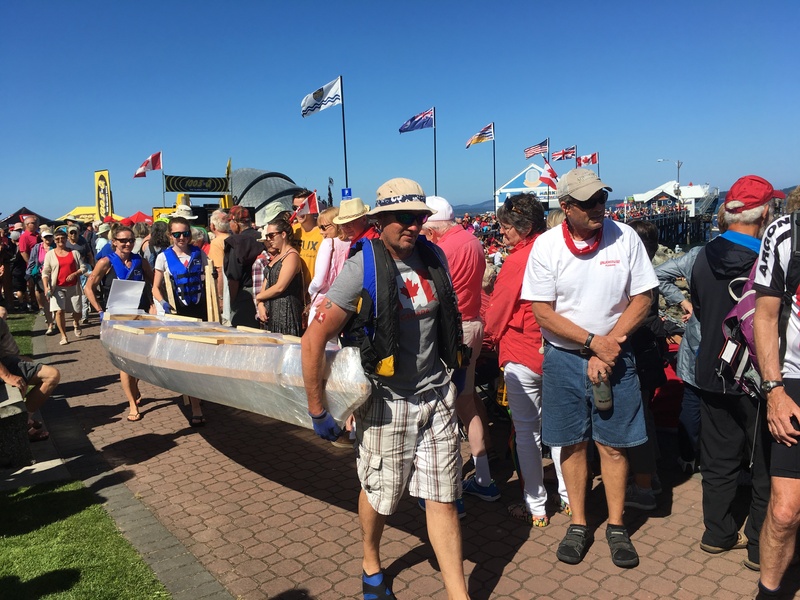 The highlight of this three day event in Sidney was the 34 th anniversary of the small boat building contest. 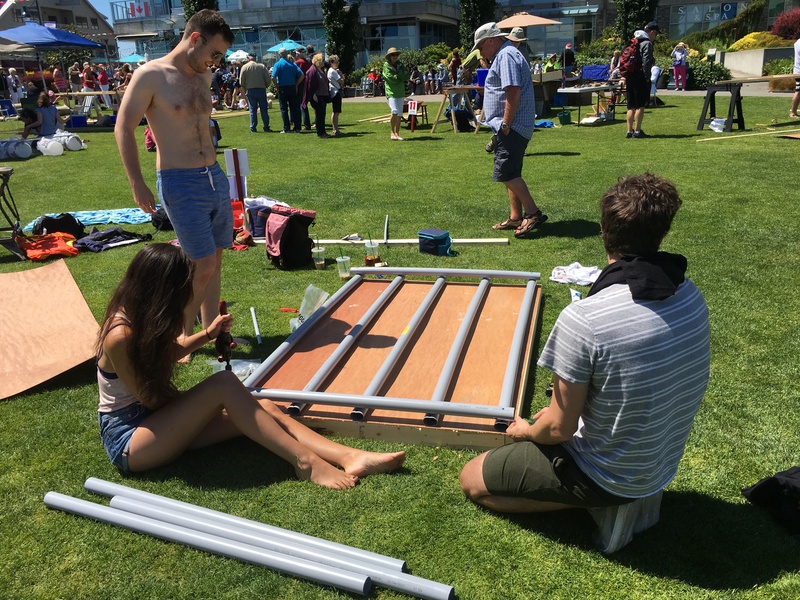 The 13 teams, consisting of three members, could only spend $150 on materials and had 4 hours to construct their entries. 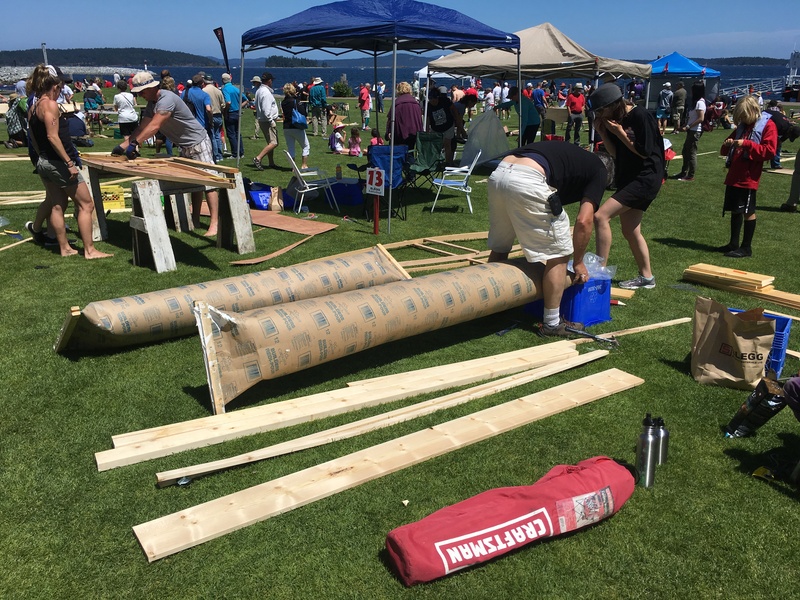 All three members had to construct and paddle their craft around the circular harbor course. 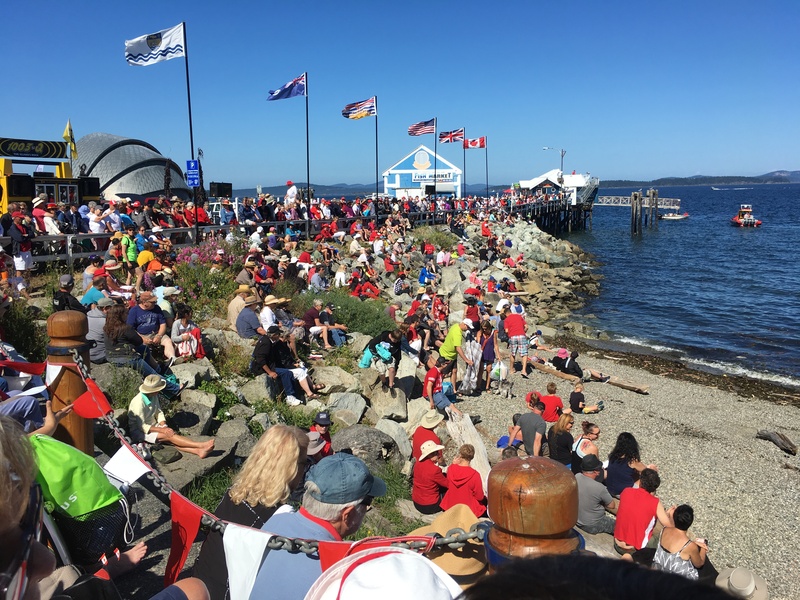 At 4:30 PM the entire town along with hundreds of other spectators assembled along the town waterfront to watch the launch and 100 yard race to a buoy and return back to the launch finish line. Several vessels looked seaworthy while others seemed questionable in their ability to even float. Of the 13 contestants five completed the course, five sunk during the race, and three didn’t even make it off the beach. A new course record of 4 minutes 32 seconds was set by a very sleek and professionally built craft. A crowd favorite, “girl guides”, constructed by three heavyset women was built using five gallon plastic buckets, duct tape, and sheets of foam insulation. Vessel stability and buoyancy were too often ignored yet highly important factors in the vessel assembly. This was quite evident in the three boats that didn’t even make it off the beach. The “girl guides” boat quickly disappeared under their combined weight and broke apart within seconds of the starting whistle. Several tipped over or sank while on the course prompting a chilly swim by the crew. This event was to date on of the most hilarious boating functions we have ever witnessed. Work aboard Idyll Time is slowly being completed. We have enjoyed our time in Sidney but are anxious to begin our boating exploration of British Columbia. If all goes as planned, we will begin cruising the Salish Sea next week. This entry was posted on July 4, 2017 at 1:20 am. You can follow any responses to this entry through the RSS 2.0 feed. You can leave a response, or trackback from your own site.